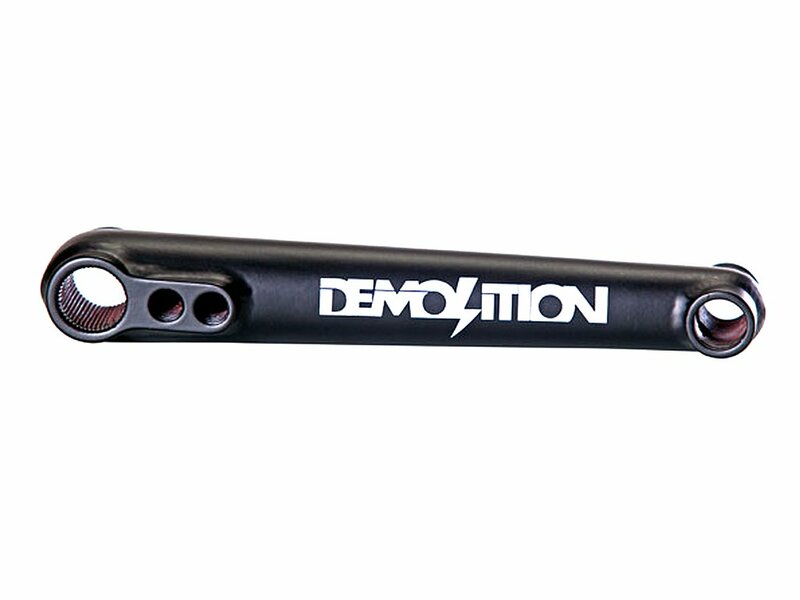 The Demolition "Revolt V2" BMX Crank is a stable and classic 3-pc. 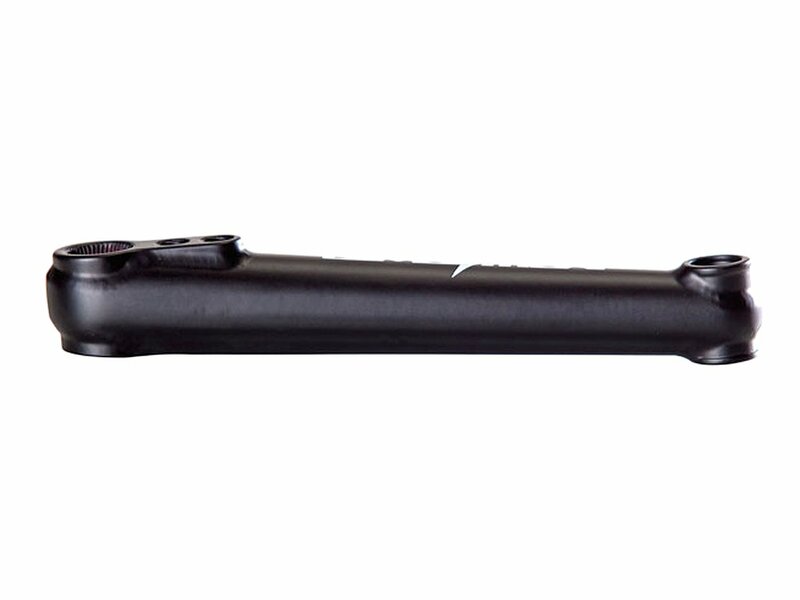 crank made of 100% heat treated 4130 CrMo with 175mm long crank arms and a 48 spline hollow spindle with a diameter of 19mm. 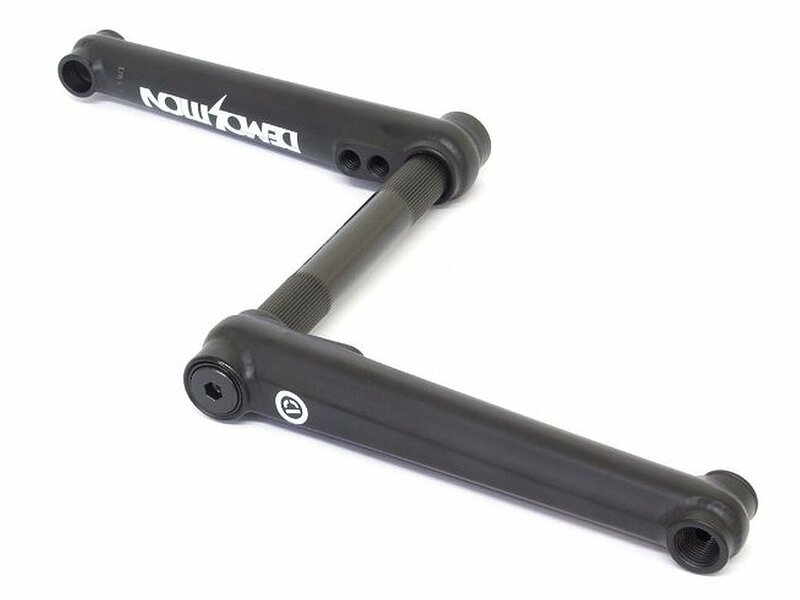 The crank arms of this Demolition "Revolt V2" BMX Crank have a round shape with flattened outer sides and the areas of the axle, and the pedal recording are fully welded around to ensure maximum stability. 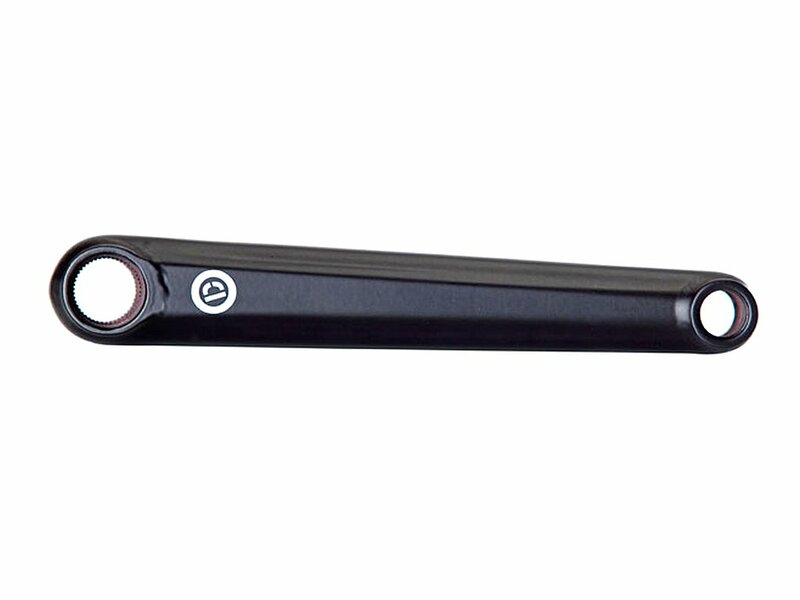 Sprocket holes for regular, but also small sprockets on both crank arms offer you here a stable but also RHD/LHD compatible 3-pc. crank set.